The post Okeechobee Fishing Guides- Okeechobee Fishing Report 4/30/18 appeared first on Lake Okeechobee Bass Fishing at it’s BEST! Top Fishing Guides. Okeechobee Fishing Report 4/29/18 The fishing is still RED HOT! Book your trip today to fish America’s greatest bass fishing lake and second largest fresh water lake in the country. 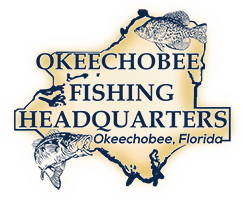 Thank you to all of our clients who have supported us through the years and the great times and memories they have made with Okeechobee Bass Fishing and Shellen Guide Service. The post Okeechobee Fishing Guides- Okeechobee Fishing Report 4/29/18 appeared first on Lake Okeechobee Bass Fishing at it’s BEST! Top Fishing Guides. The post Okeechobee Fishing Guides- Okeechobee Fishing Report 4/24/18 appeared first on Lake Okeechobee Bass Fishing at it’s BEST! Top Fishing Guides. Okeechobee Fishing Report 4/20/18 Ron King and his son from Boston caught a ton of nice fish today. They enjoyed there time together and spending Ron’s Birthday our on the water fulfilling a bucket list dream he has had for years. Come and join us for some fantastic fishing and fun on beautiful Lake Okeechobee! The post Okeechobee Fishing Guides- Okeechobee Fishing Report 4/20/18 appeared first on Lake Okeechobee Bass Fishing at it’s BEST! Top Fishing Guides. The post Okeechobee Fishing Guides- Okeechobee Fishing Report 4/22/18 appeared first on Lake Okeechobee Bass Fishing at it’s BEST! Top Fishing Guides. The post Okeechobee Fishing Guides- Okeechobee Fishing Report 4/18/18 appeared first on Lake Okeechobee Bass Fishing at it’s BEST! Top Fishing Guides. Okeechobee Fishing Report 4/15/18 John Mason from Sarasota, Fl. caught this pig of a largemouth weighing nearly 9 lbs on a live wild shiner while fishing with Okeechobee Bass Fishing. The fish are chewing and now is your time to book your trip to embark on a journey into beautiful Lake Okeechobee. The weather is great and the wildlife viewing and fishing is spectacular. The post Okeechobee Fishing Guides- Okeechobee Fishing Report 4/15/18 appeared first on Lake Okeechobee Bass Fishing at it’s BEST! Top Fishing Guides. The post Okeechobee Fishing Guides- Okeechobee Fishing Report 4/11/18 appeared first on Lake Okeechobee Bass Fishing at it’s BEST! Top Fishing Guides. Okeechobee Fishing Report 4/8/18 Don Lazard from Port St. Lucie Finally caught this fish (9 lb. 11 oz.) he has been dreaming about for years on a Live wild shiner while fishing on Lake Okeechobee this weekend. Don is a repeat customer and we’re pleased that he was able to catch his dream fish. It’s your turn! The post Okeechobee Fishing Guides- Okeechobee Fishing Report 4/8/18 appeared first on Lake Okeechobee Bass Fishing at it’s BEST! Top Fishing Guides. The post Okeechobee Fishing Guides- Okeechobee Fishing Report 4/7/18 appeared first on Lake Okeechobee Bass Fishing at it’s BEST! Top Fishing Guides.